Are you networking in November? We couldn’t help but notice that within a week of our next HOW TO JOB SEARCH IN BOOK PUBLISHING, the organisations Book Machine, Byte The Book and the SYP Conference are all taking place. So here is a great offer – usually only available to subscribers of our newsletter. And you can add the Galley Club in there too… they have a meeting on 5th November featuring the amazing Chris McVeigh. If you are attending any of the above events, then you can take £10 off the price of HOW TO JOB SEARCH IN BOOK PUBLISHING! This is because you are probably well on your way to getting the networking part of your job search to the standard that we recommend. Even if you are not, here is a great opportunity to come to probably the best day you can ever give yourself to help find the job that you deserve. 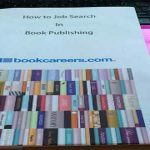 Just visit https://how-to-job-search-in-book-publishing.eventbrite.co.uk/?discount=November14 and use the promotional code November14 and £10 will be taken off the cost of our unique one day course. 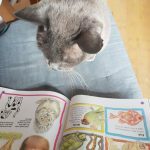 And don’t forget, if you are unemployed and have already worked in the UK book publishing industry, then you might qualify for a sponsored place on this course. 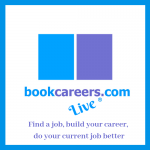 Please email your CV to us at online@bookcareers.com, with a brief outline of your current situation and we will be in touch. If you are not sure if this course is right for you, please email us at online@bookcareers.com, and we’ll book you in for an informal telephone/Skype chat to talk through your current career needs.